With rare exception, negotiating the transaction is the most complex part of selling a home. It’s also the one that can involve the most creativity. That’s why it helps to have an experienced REALTOR® who has successfully worked through many different transaction scenarios. What follows is, first, a brief description of the negotiation process; and second, a few strategies for negotiating the best possible deal you can. Both involve: keeping in mind your situation, priorities and needs; not giving your situation away to the buyer and buyer’s agent; trying to understand and respect the priorities of the buyer; being creative and, if necessary, willing to compromise to get the deal done. When a buyer, typically with the help of a real estate agent, makes an offer on your home they’ll do so using a contract that has been developed by your local real estate association in conjunction with legal counsel. These contracts enable the buyer to suggest a sale price, as well as include many clauses for specifying various terms of purchase, such as the closing and possession dates, the deposit amount, and a variety of other conditions. The buyer’s REALTOR® will then deliver the offer to your REALTOR®, who’ll present it to you. You should closely review every detail of the offer with your REALTOR®, who’ll be happy to address all your questions about the offer and the process itself. You can then accept the offer, reject it, or counter it to initiate the negotiation process. Successive counter-offers, with deadlines for responding and meeting various conditions (e.g. home inspection, the buyer securing financing), will be exchanged between you and the buyer until a mutually-satisfactory pending agreement is reached, or the negotiations collapse. Are you selling because you want to sell, or because you have to sell? What are your baseline sale price requirements? What are your “must-have” and “like-to-have” conditions and terms? How long has your home been on the market? How many offers have you had? How does this offer compare? 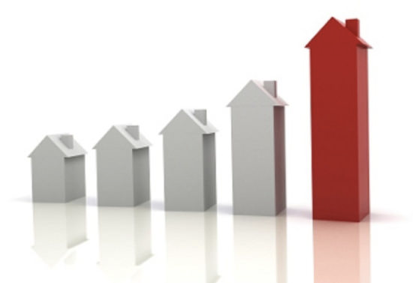 What are home prices doing in your area? If they’re trending upward, how much might accepting an offer cost you; and if they’re trending downward, how much might not accepting an offer cost you? Have you made an offer on another home that’s subject to selling yours? Should you risk tying up the listing by negotiating with someone who is not pre-qualified to buy, or whose offer is conditional upon the sale of their property? Generally, you should only deal with buyers who are pre-qualified and, ideally, only with buyers who have a firm pending agreement to sell their current home. While some of these questions only you can answer yourself, for others you can rely on the real estate agent to provide trustworthy counsel. As a seller it’s crucial to keep certain aspects of your situation (e.g. your finances, why you’re selling, how urgent you are) hidden from the buyer and buyer’s REALTOR®. Remember, it’s the job of the buyer’s REALTOR® to get the best deal they can for their client, so any vulnerability you show could end up compromising your position and costing you thousands of dollars. This is not the same, however, as expressing your priorities very clearly throughout the negotiations. Properly done, the firm statement of your priorities will strengthen your position. If during the negotiations you can find out more about the buyer’s priorities you’ll not only improve your position, but you’ll also be able to resolve any obstacles more creatively and sensitively. For instance, if a buyer is adamant about the sale price – perhaps because they’re at the limits of their available financing – they might be more flexible about the closing date or other terms. There are no “one size fits all” approaches to negotiating. Still, the more you know about the buyer’s priorities, the more you’ll be able to work with them to achieve your own priorities. An all-cash offer by the buyer. Your offer to provide financing or an interest rate buy-down to the buyer. The amount of earnest money deposit the buyer provides. The inclusion of furniture, fixtures, etc., not considered part of the property. Payment for repairs required by the buyer’s lender. Payment of taxes, utilities and rents. Payment of title search and insurance. Payment of survey, transfer taxes and recording fees. If you do offer the buyer special terms, the key is to get it in writing within the purchase agreement. These terms should then be clearly understood by both you and the buyer so that you’re on the same page and the negotiations move forward. Depending on your situation, you might want to make a few compromises to seal the deal. You just never know when the next serious or “workable” offer will come along – or what it will cost you to wait for it. Disclose everything. Smart sellers go above and beyond legal necessity to disclose all known defects to their buyers. Most states have property disclosure forms. Use them. If the buyer knows about a problem, they can’t sue you later. Ask questions. Offers may contain complicated terminology, sometimes three or more addenda. Your REALTOR® is there to clarify everything for you. Respond quickly. When buyers make an offer, they are in the mood to buy. But moods change, and buyers often get “buyers’ remorse”. Don’t delay if you want the sale. Stay cool and be patient. At all times keep communication civil and agreeable – even if the buyer gets tense – or you might lose your sale. If necessary, defer until “later”. If small issues get in the way of big ones, focus on and consolidate your agreement on the big issues and come back to the small ones later. Meet halfway. At the end of the day, if there are disagreements about relative small expenses, split the difference and smile. Rely on your real estate agent. It’s your agent’s responsibility to represent your best interests every step of the way. Your success is their success. The reality is that most negotiations proceed without much problem. If there are difficulties but you’re still committed to selling, remember: where there’s a will there’s a way.